The group buy will end as soon as the performance indicator hits 100 percent, but not later than -18011 days 19 hours 24 minutes from now. 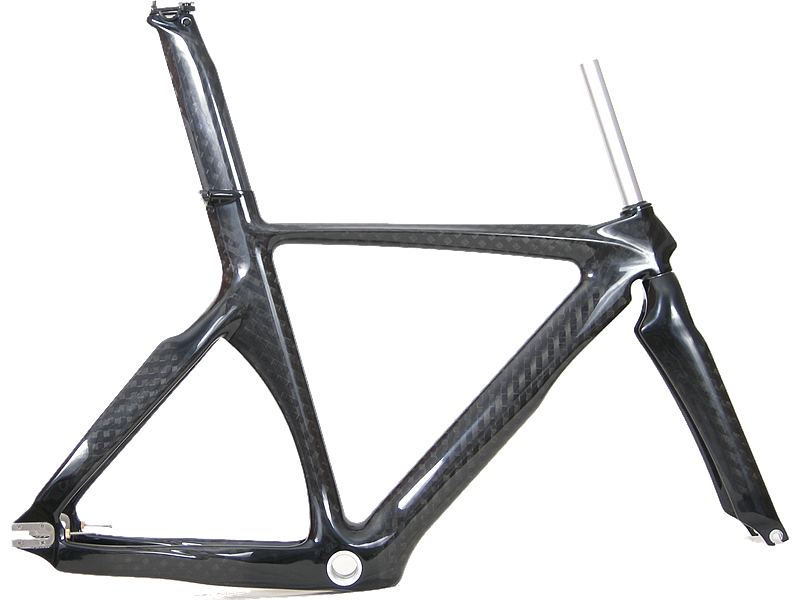 The TR18 is our new carbon frameset dedicated to track racing. Designed for sprints, pursuits, points/scratch and time trial, racers will appreciate the superior bottom bracket stiffness for efficient power transfer. The profile of the frame, fork and seatpost are optimized with numerous features to reduce aerodynamic drag to a minimum. It has a proper alloy crown and steerer track fork which has no brake hole and comes as standard with the track frameset. Our frame has the full integrated seat clamping system, not a separate clamp. This design integrates the seatpost into the frame aerodynamically but not structurally, so you can pack the frame into a standard bike case, something that frames with integrated seat posts do not allow. Frame and steering geometries are well suited to sprint as well as pursuit events. We are looking for your help to expand our dealer network. Introduce your local bike shop to us when you order a frame and we'll give you $50 back. Click on the button to find out more. Track specific carbon fork w/ 1-1/8" aluminum steerer.